I recently visited an Amazon warehouse in Kent, Washington, about 20 miles (32km) south of Seattle. 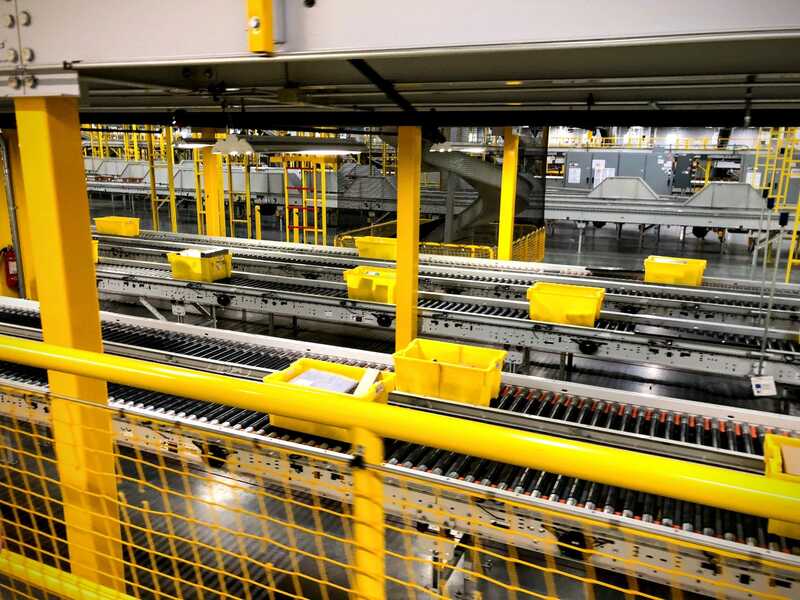 The fulfillment center is just under 1 million square feet, and it contains 18 miles (29km) of conveyor belts and lots of robots. 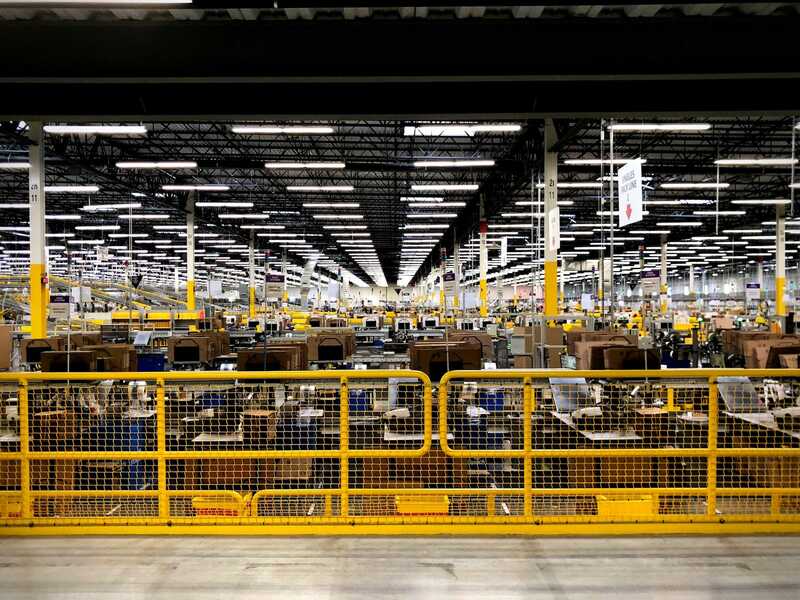 The employees I saw during my tour appeared to be working steadily and methodically, but no one appeared to be rushing around the facility to complete their tasks. I didn’t see anyone stopping to take a break, but I didn’t notice anyone visibly upset or stressed either. About 20 miles south of downtown Seattle sits one of Amazon’s many fulfillment centres. The looming, beige facility feels removed from the shiny, glamorous headquarters that Amazon is still building in the center of the city to house its corporate employees. Large open fields stretch in one direction, and suburban houses are in the other. In the distance, you can catch a glimpse of Mount Rainier. 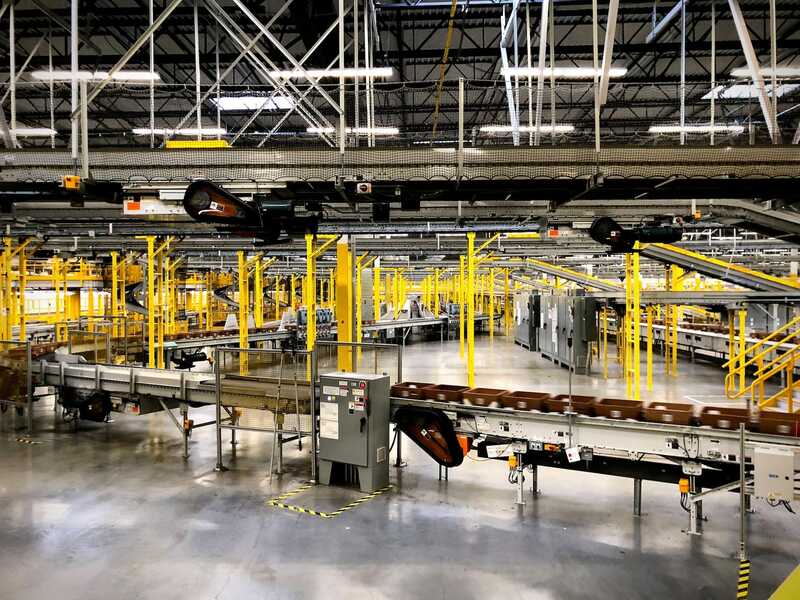 The setting is almost picturesque – until you remember that before you is an Amazon fulfillment center that spans nearly 1 million square feet. Inside, Amazon workers spend 10 hours a day, four days a week, ensuring your order gets to you on time. 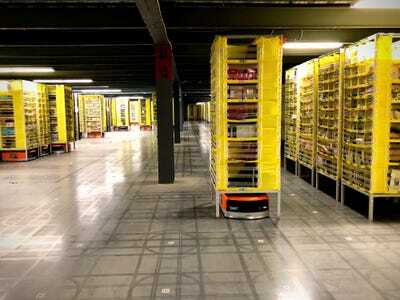 It’s the core of Amazon’s business, and also one of the most controversial. Current and former employees have told horror stories of a workplace that’s so fast-paced and strenuous that workers don’t even have time to use the bathroom. The fulfillment centres recently became a target for Sen. Bernie Sanders, who called on Amazon to pay its workers more and even sponsored a bill with the acronym BEZOS, after Amazon’s CEO, Jeff Bezos. 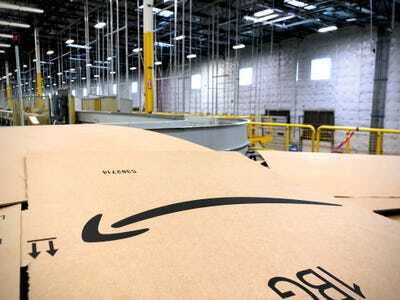 In response to mounting criticism, Amazon announced last week that it would raise its minimum wage to $US15, a change it says will affect more than 250,000 full- and part-time US employees, plus more than 100,000 seasonal staff members who work for Amazon over the holiday season. I visited the Kent fulfillment center one day after Amazon’s biggest hardware event of the year, as part of an Amazon-sponsored tour. The company shuttled journalists from across the globe to the facility, where we caught a sanitised glimpse into the world of Amazon. 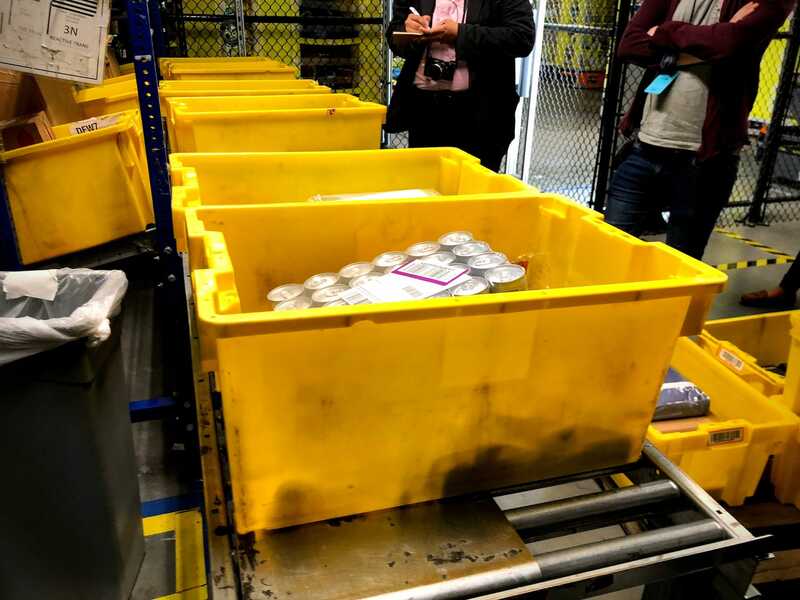 Ahead of my visit, I was given several rules: no loose-fitting clothes, no recordings, no straying from the tour, and absolutely no speaking to fulfillment-center employees. A legion of Amazon corporate employees attended, for seemingly no other reason than to keep members of the media in line. Still, there was plenty to see and hear during my visit. Here’s what it was like. 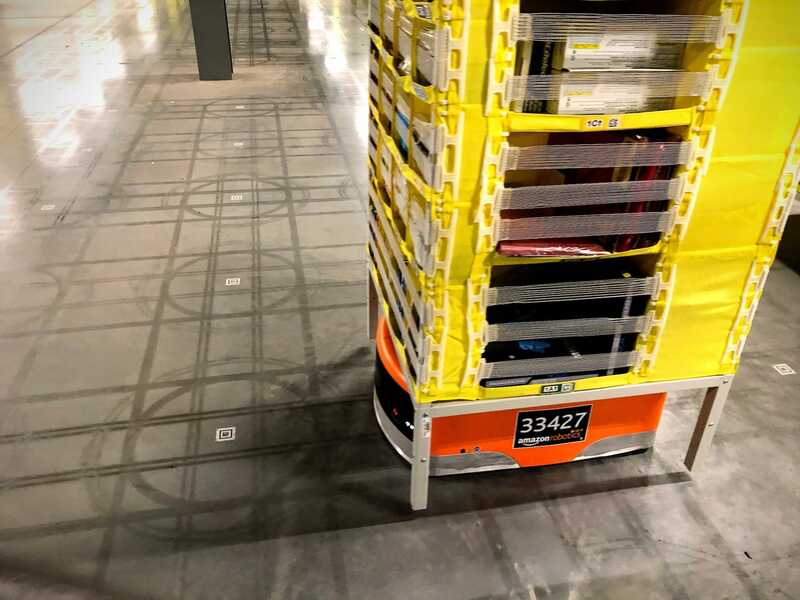 One of the first things you see when you enter the Kent fulfillment center are these robots hanging from the ceiling — they’re the robots that move inventory around the facility. This particular set, now in retirement, was signed by day-one employees. 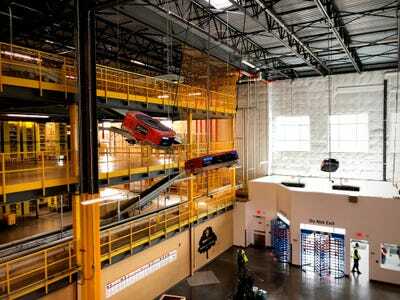 The facility is vast — just under 1 million square feet — and contains 18 miles of conveyor belts. The Kent fulfillment center runs 22 hours a day, 363 days a year. In one part of the facility, robots like the ones hanging in the entryway are responsible for moving inventory to and fro. The robots rely on QR codes on the floor to map the room. Here’s a look at the robots in action. It’s mesmerising to watch — and impressive that they never run into one another. The items placed in the bins are not sorted according to product type or vendor – instead, random stow is used to group items, well, randomly. 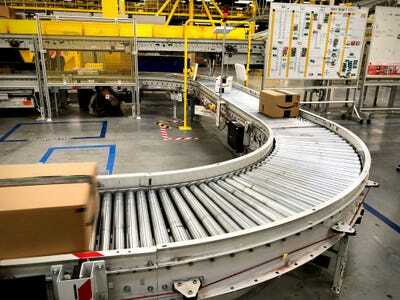 Amazon says that using this randomised system has helped speed up the process. 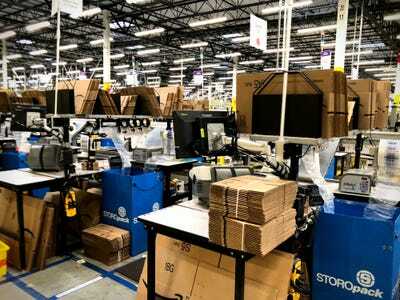 Large fulfillment centres have multiple “picking stations” throughout, and grouping all similar or identical items would be too time-consuming. 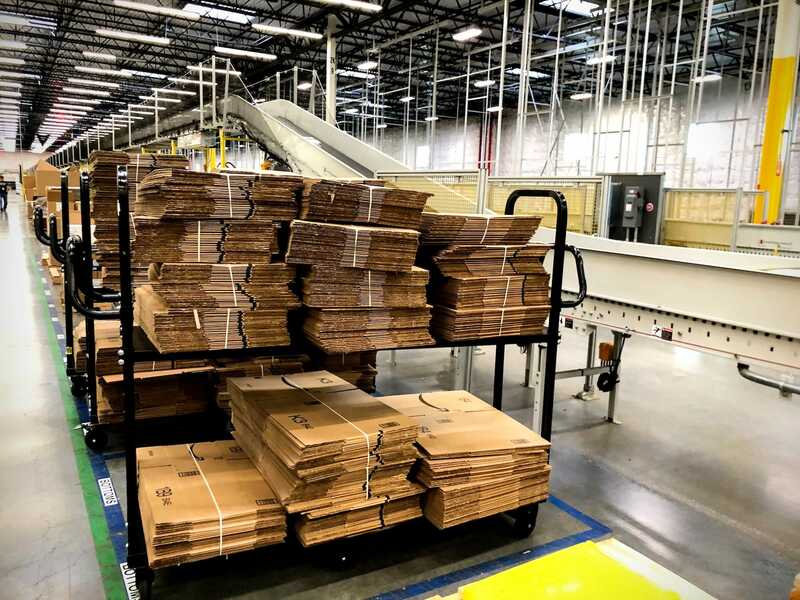 Amazon doesn’t say how many items are processed at its fulfillment centres every day, since it varies by season. 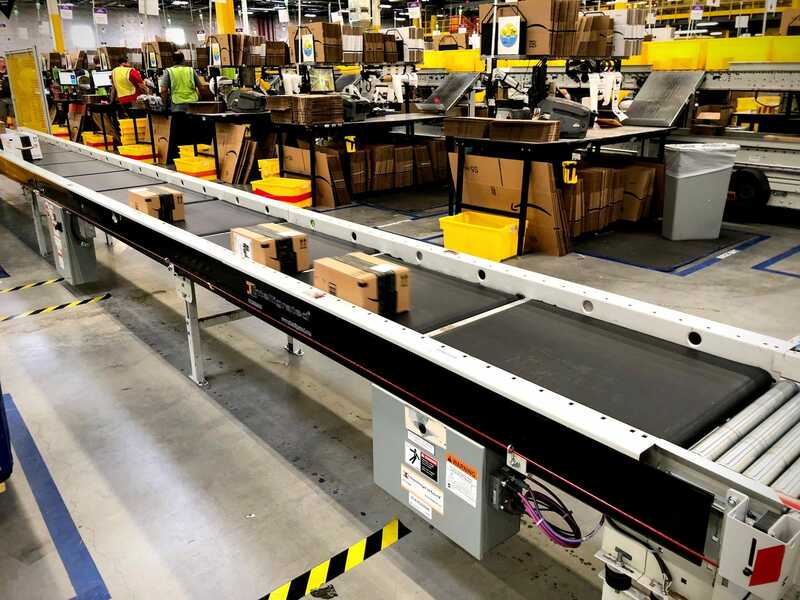 The items that pass through this particular fulfillment center are no larger than a toaster oven. When I peeked inside a few bins, I saw everything from diapers to soccer equipment to a 24-pack of kombucha. 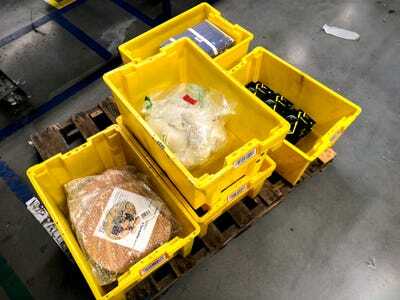 After items are entered into the system and stowed in bins, they’re sent along the conveyor belt to be boxed up. 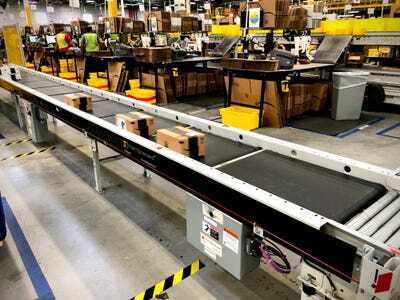 Employees will take a bin off the belt, scan it, and unpack it. Then the system will tell them what type of box they need. An employee will assemble the correct box, fill it, and send it on its way. 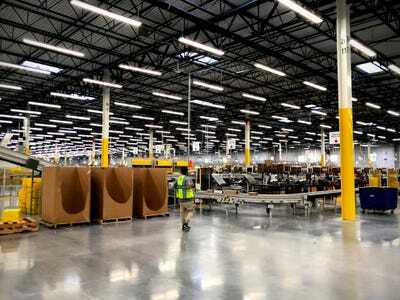 The ubiquitous Amazon box is everywhere you turn, in every size imaginable, throughout the fulfillment center. Here’s a closer look at one of the boxing stations. After a box is sealed and placed back on the belt, it’s automatically weighed. 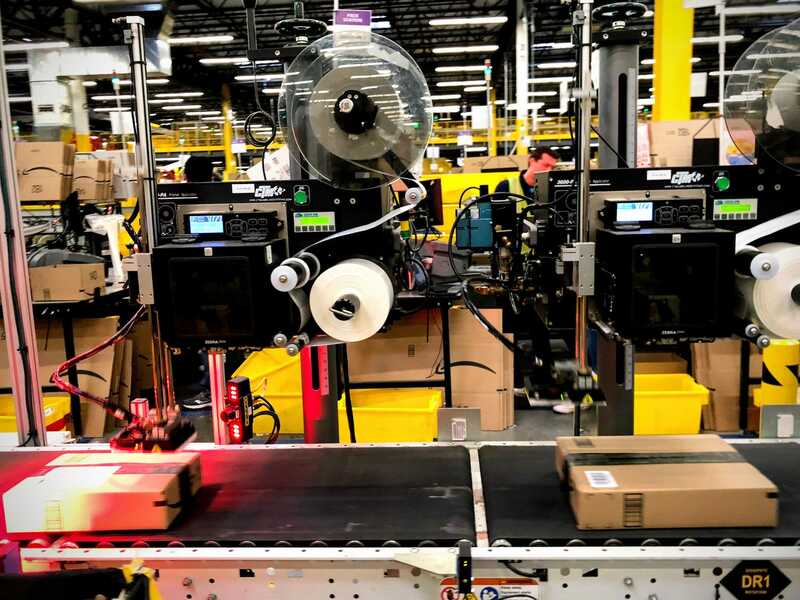 Amazon’s system then creates a label, which is pressed on by air. 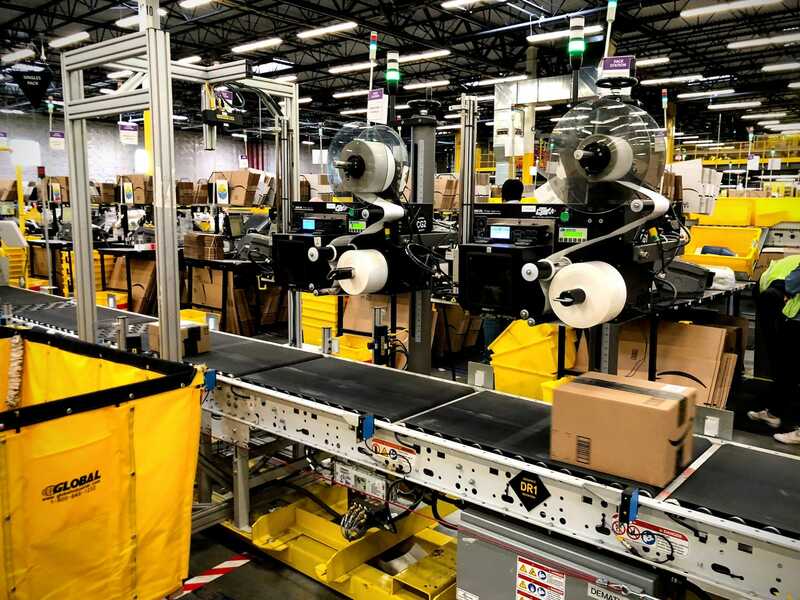 This system is called SLAM, which stands for “scan, label, apply, manifest.” Amazon created the process about 20 years ago, during the early years of the company. … but others whip along almost alarmingly fast. The Kent facility employs about 3,000 people. Employees work 10-hour shifts, four days a week, taking breaks throughout the day: once in the morning, once for lunch, and once again the afternoon. During my visit, we were asked not to speak with any employees we saw, since it was the middle of their workday. One reporter who flagged down an employee was quickly asked to keep moving. Throughout the facility, I noticed vending machines with drinks and snacks inside. I also saw a large break room with long tables and chairs, not unlike a high-school cafeteria. When I peeked in the window, it was empty. Employees I saw during my tour appeared to be working steadily and methodically, but no one appeared to be rushing around the facility to complete their tasks. I didn’t see anyone stopping to take a break, but I didn’t notice anyone visibly upset or stressed either. Reports from warehouse workers in other cities around the world paint a different picture. Former employees said they would sometimes find human waste in trash cans because workers felt they could not take the time to go to the bathroom. Employees said Amazon’s focus on efficiency made them feel like “robots” who were expected to do only one thing, and quickly. Employees have also described job metrics that are “brutally aggressive,” as well as being in a “constant state of anxiety” that they could be fired at any moment. Amazon says that with the recent increase in employee pay, fulfillment-center employees will still have metrics to meet, but they will no longer be tied to pay. 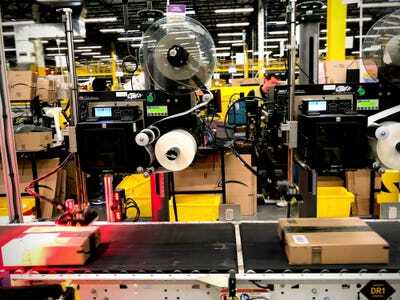 The result should be higher and more predictable pay for workers, according to Amazon. 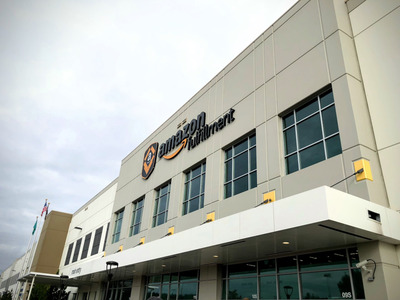 The Amazon employee leading my tour – which happened before the pay-raise announcement – echoed that sentiment, saying that employee performance is measured the way any other job would and that it’s more about quality than quantity. 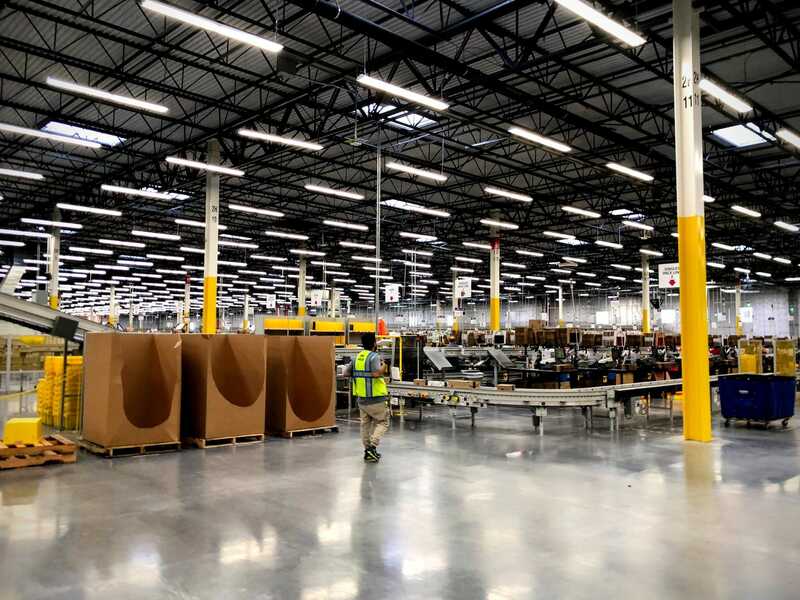 For its part, Amazon seems to be getting more sensitive to criticisms of its fulfillment centres and making changes to how workers are treated.